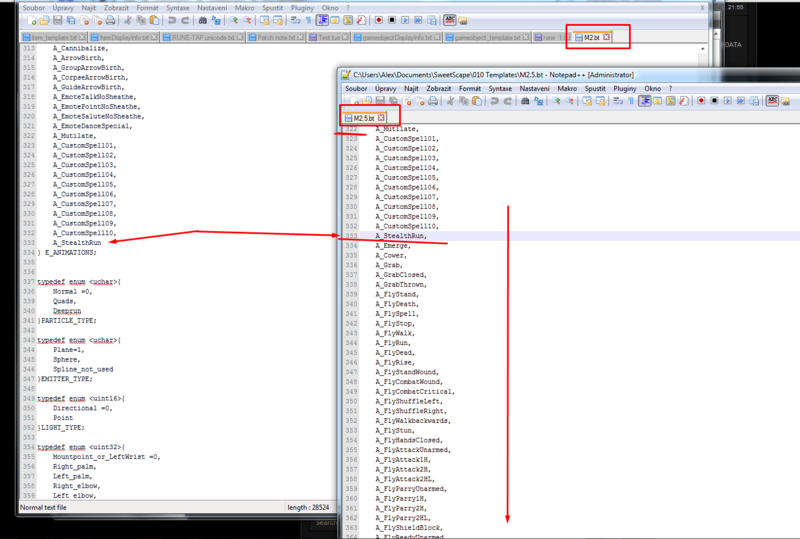 In this package there are diffrent 010 Editor Templates for diffrent wow files. 010 Editor is a advanced hex editor, sadly not shareware. One is a genius, the other\'s insane! char Identifier <comment="*QIL">; //	"*QIL"
//uint16 unk; //	unk	? int16 unk2 <comment="unknown data">; // unk ? I don't know how to use the nCount value to do a loop with the Data, but I'm sure someone could make sense of this and make it better. The links here need updated. Links in OP are dead. Anyone got them? There are 16 extra bytes per each particle. So open a WoTLK template and add a couple of uint64 array; in the end of the structure. That should work. Is there a template floating around somewhere for either Classic or Burning Crusade m2 files? edit: And I already posted a copy further up.